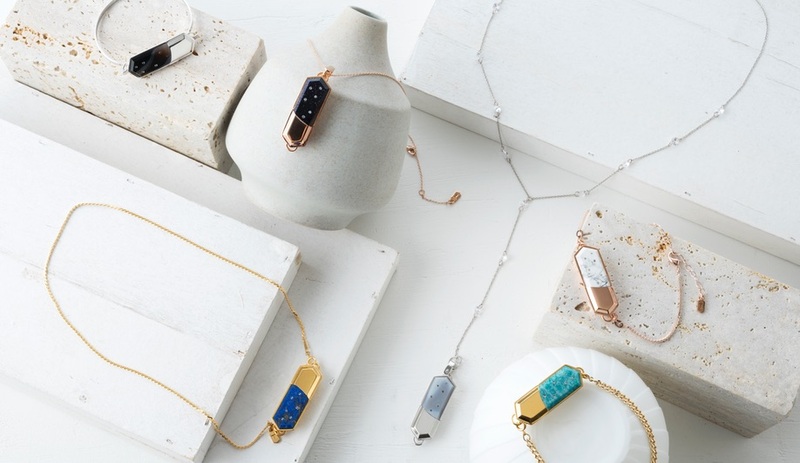 Though intended as a romantic gift, the Talsam collection of connected jewellery also features a panic button that makes it one of the smartest wearables we’ve seen. When we think of wearables, we tend to think of fitness-focused devices, like Fitbits and other activity trackers, and smart fashion accessories, like the Apple Watch – or maybe even failed tech like Google’s notorious glasses. But perhaps one of the most relevant uses of wearable technology is for increasing personal safety. 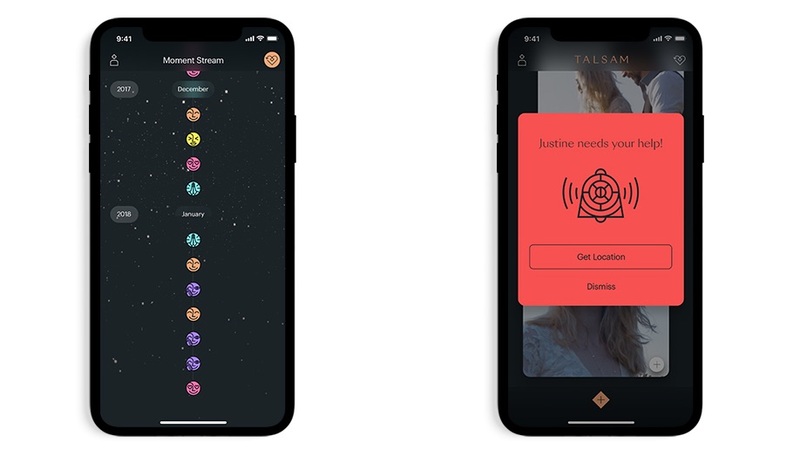 The ability to send out an SOS call that alerts an emergency contact of your location is just one of the benefits of Talsam, a new smart jewellery line that wrapped up a successful Kickstarter program today. 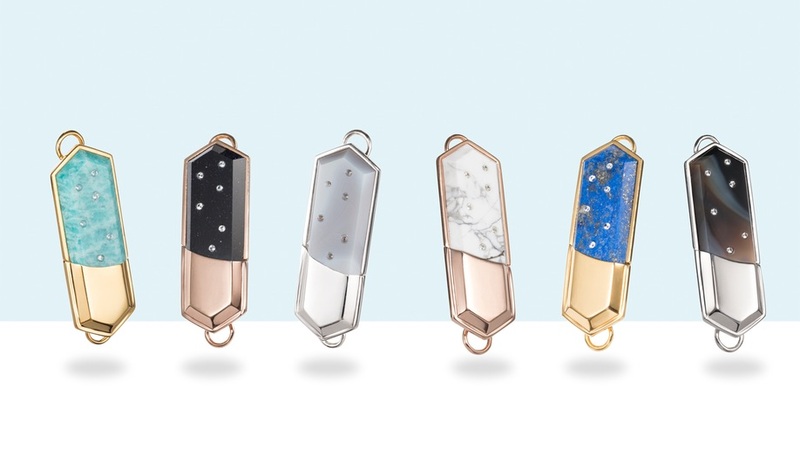 The fashion-forward, app-connected charm was launched on the crowdfunding site a month ago by Chipp’d, a New York startup that is using technology to create personal experiences – between actual people. The thumb-sized piece combines a gold- or silver-plated setting with a semi-precious stone, inlaid with six Swarovski crystals. It’s a simple and elegant design that can be worn on a necklace or bracelet. 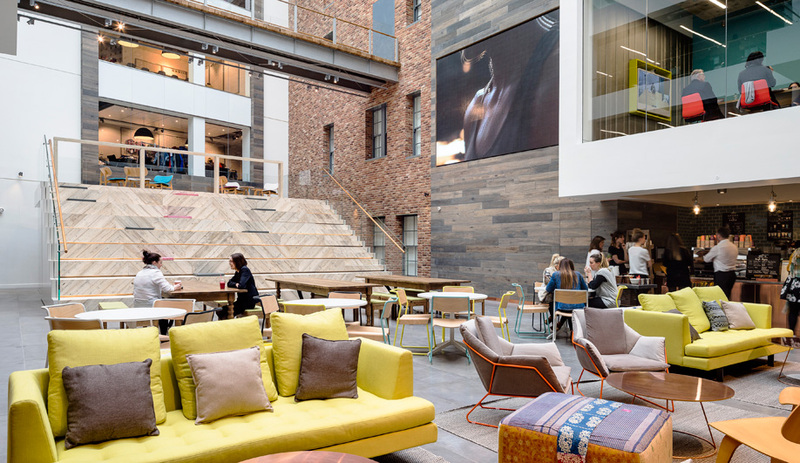 No one would suspect the piece was connected to your phone – as well as the phone of a loved one. Not only does the piece pack the ability to signal for help in case of an emergency, it also enables users to send and receive subtle communiqués with someone special. The Swarovski crystals are embedded with tiny LEDs that flicker when a loved one alerts you just to say they’re thinking of you. 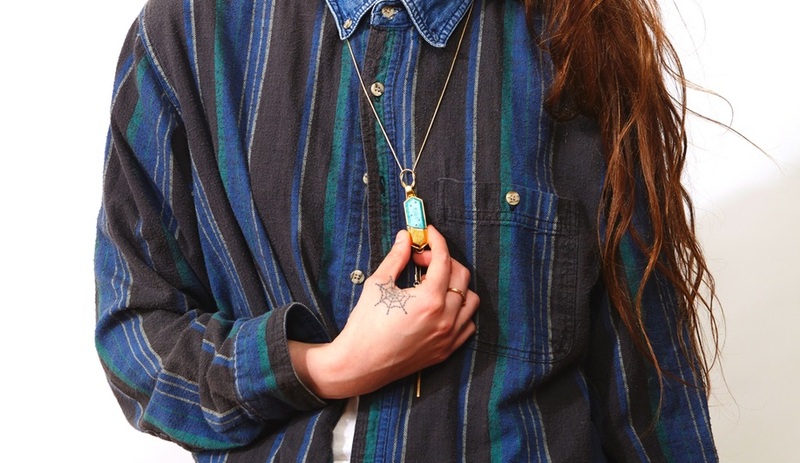 The charm also vibrates for a discreet hello. A button on the back acts as a key to open private messages delivered via app, and messages can be delivered as text, pictures, videos, audio or animated emojis that could be inconspicuously viewed anywhere. It’s “primarily designed as an item you would gift your significant other, a friend, or family member – a dedicated and intimate channel to communicate with someone you love,” describes founder Omar Farha. But it also hides a tiny SOS button on the side. Though we are seeing other panic button–type wearables on the market – from the Nimb ring to the Athena pendant and even the alarm-equipped workout wear Safe Shorts – Talsam is among the most discreet. 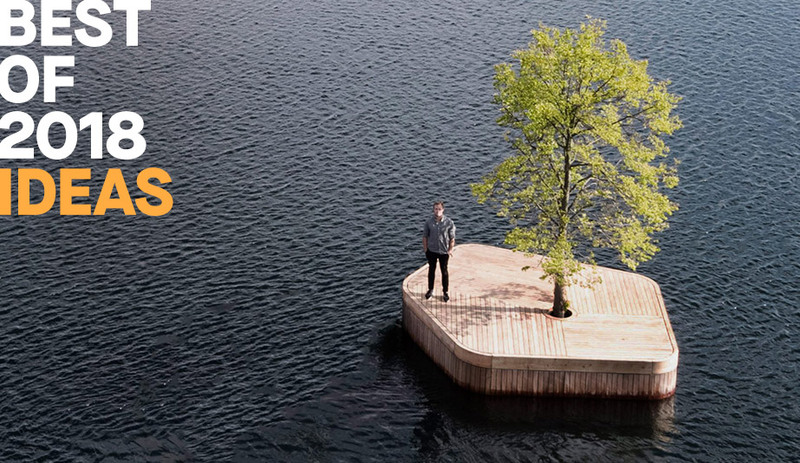 Plus, its multi-functional nature could make it a more appealing accessory than one specifically devoted to emergency situations. While other devices might only be added to an outfit if the user is already in a cautious mindset, Talsam feels like an everyday accessory, one that just might come to the rescue someday. Its sleek design makes it a unisex option, and with six stone options (Amazonite, Black Sardonyx, Blue Goldstone, Gray Agate, Lapis Lazuli or White Howlite) and a setting that comes plated in silver or gold, there’s a version to suit any taste. Rings at either end attach to necklaces and bracelets, which are also available in a range of coordinating styles. 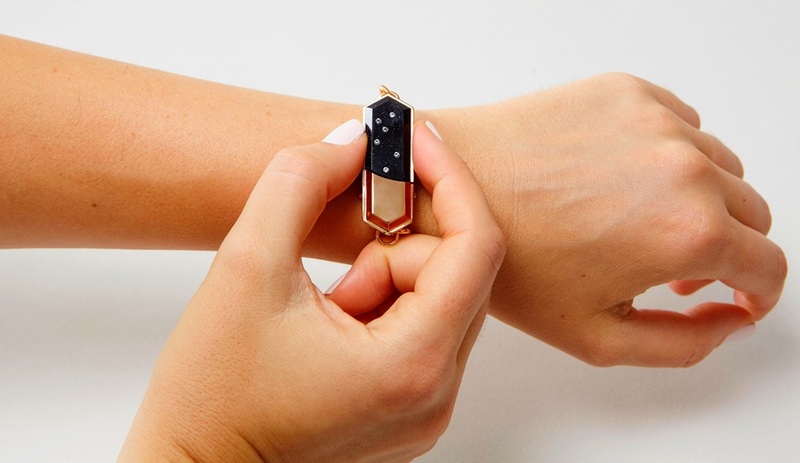 By releasing a loop and pin closure at the back, a USB connection is revealed for charging; in just two hours Talsam’s battery will have enough life to operate on standby for up to 300 hours, making this wearable ready to go when you are. Chipp’d hopes to start shipping the finished product to backers in early 2019.